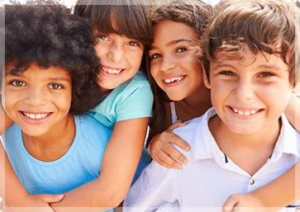 Welcome to the Children’s Skin Center, South Florida’s premier pediatric dermatology practice. We know how busy parents are, and that’s why we pride ourselves on making it convenient for your whole family to receive a wide range of cutting-edge dermatological treatments. Our board-certified dermatologists and certified physician assistants have advanced training in both dermatology and pediatric dermatology, and we have created a welcoming, inclusive, and kid-friendly practice. 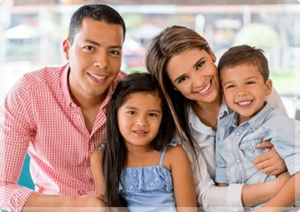 Under the direction of Dr. Ana M. Duarte, you can rest assured that your whole family, from the youngest to the oldest and everyone in between, will receive the best care and treatments available at the Children’s Skin Center. We offer a variety of minor skin procedures right in our office, including biopsies, excisions, cryosurgery, and electrodessication. We also specialize in laser surgery for the treatment of vascular birthmarks, hemangiomas, port wine stains, warts, stretch marks, scars, hair removal, and more. See a complete list of procedures offered. Diseases and treatments affect children and adults differently, which is why pediatricians refer their patients to a board-certified pediatric dermatologist. Our board-certified dermatologists and certified physician assistants have advanced training and offer the most state-of-the-art treatments available. We offer a complete line of cosmetic services to help our patients look and feel their very best. The Children's Skin Center was founded in 1995 by Dr. Ana M. Duarte. Since then, we have enjoyed worldwide exposure, having seen over 200,000 dermatology patients of all ages. We are committed to providing the best dermatological care for you and your family. The Children’s Skin Center is committed to offering our patients the latest medications and state-of-the-art technology for the treatment of all skin disorders in infants, children, and adults. Our highly-qualified, compassionate director and staff are dedicated to ensuring each visit is patient-centered, kid-friendly, and positive. The Children’s Skin Center offers our patients the best treatments available in a family friendly atmosphere. With offices located in Miami (Nicklaus Children’s Hospital’s main campus), Coral Gables, Doral, Miami Lakes, Miramar, Kendall, Palm Beach Gardens, and Pinecrest getting kid-friendly dermatology care with a board-certified dermatologist has never been easier or more convenient. "Dr. Duarte is professional, caring and the best dermatologist I have been to. She is attentive, thorough and really listens to how you feel. I have gone to her for minor issues as well as cosmetic treatments. Dr. Duarte has a great eye and has done wonders for me." As young adults, we worked hard to become the medical professionals we are today. Now we get to go into our offices and treat children and their families every day. We love what we do and we don’t take it lightly. We take the time to get to know our patients and their families. We are out in the community, raising awareness about skin cancer. We educate people about important topics such as sun safety, bullying, healthy eating, and healthy living. We train other medical professionals. We educate patients. We are here for you. Welcome to The Children’s Skin Center Family. Thank you for visiting The Children’s Skin Center. We value feedback about your experience so we can continue to provide our patients with the best service possible. Please complete and submit our patient satisfaction survey by clicking the link below. We appreciate the opportunity to serve you and your family and thank you in advance for your input.